The name "Ardennes" comes from two Celtic words AR DUEN meaning "deep forest". In Hargnies, you just have to look around you and immediately you will understand the why of this appellation. Immense, infinite ... the forest massif of the Ardennes is impressive by its vastness. Nestled in the heart of a clearing, the charming little village of Hargnies, known for its local specialties (cooked meats. ..) will delight you. If you pass by Hargnies in july, do not miss the horse festival. Every first Sunday of July, during this event, the "ardennais" draft horse is honored. 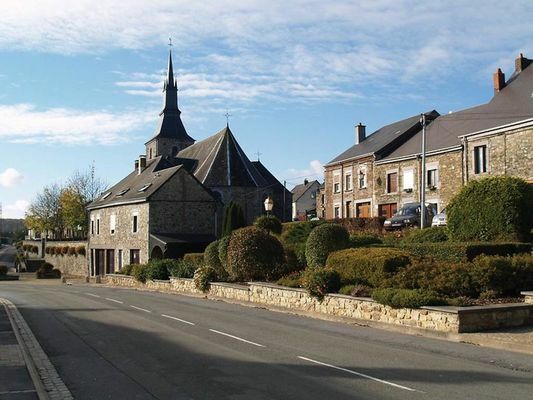 There is no review about Village D'hargnies, be the first to leave one !